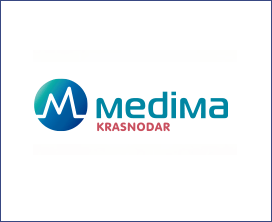 Medima annually gathers together doctors, producers and suppliers of medical equipment and materials. It is a platform for professional communication and experience exchange, demonstration of up-to-date equipment and rechnologies. The business program of the exhibition targets practicing medical specialists and offers numerous seminars, master-classes and round tables on actual professional issues. Medima will take place in the new exhibition venue Expograd Yug. The new exhibition and congress centre Expograd Yug consists of 4 pavilions, entrance group building, outdoor exhibition areas and parking lots for visitors. The technical facilities of the centre meet international standards and allow organisers to render a wide range of high-quality services both to exhibitors and visitors. Expograd Yug is located in the northern part of Krasnodar, near Krasnaya Ploschad shopping mall. Due to the location it can be easily reached from any point of the city.